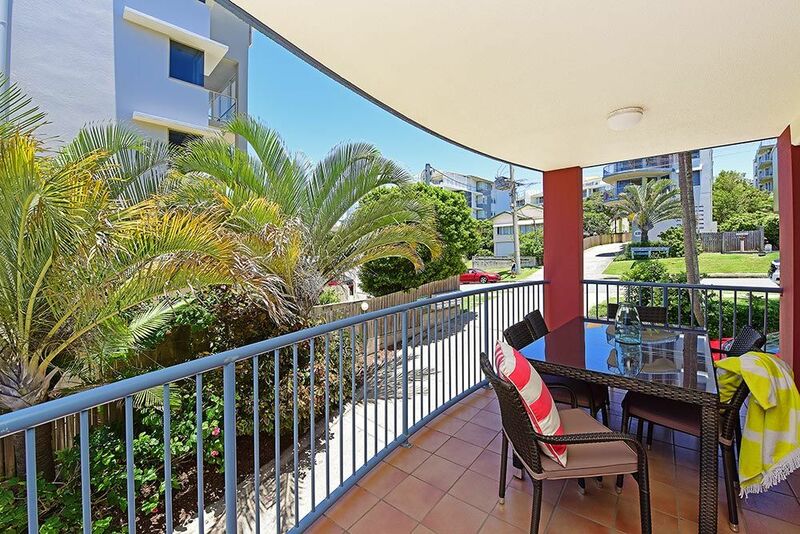 As the largest space in our building, Apartment 7 will welcome you with open arms to your seaside getaway. 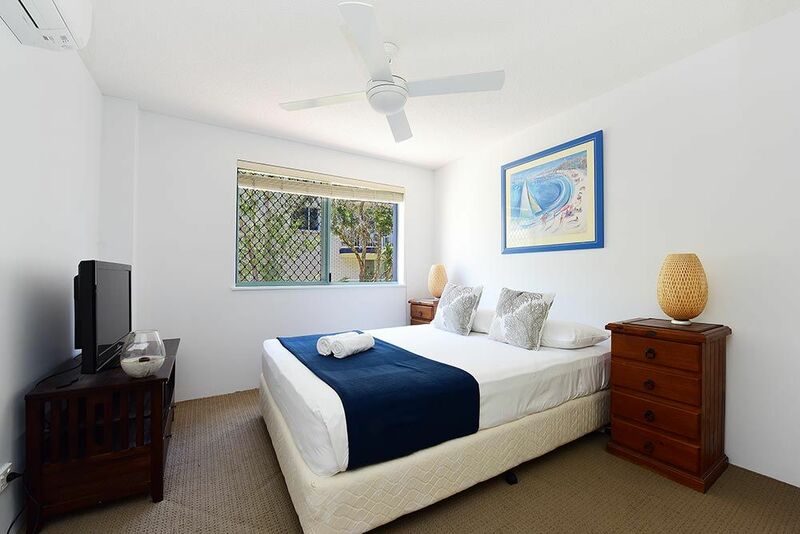 Decorated tastefully in White, Navy and Sandstone tonings, this 3 bedroom apartment has ample room for a relaxing holiday for up to 6 guests. 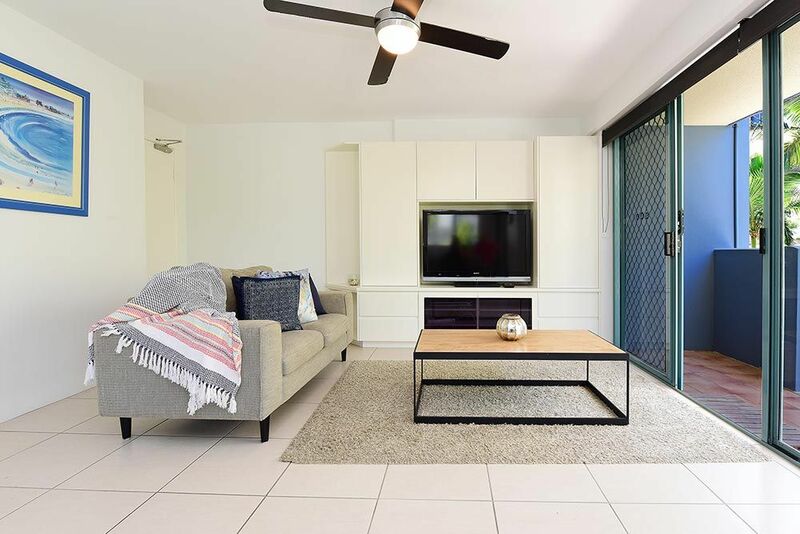 After a day exploring Kings Beach, you’ll be happy to relax in the freshly furnished living space with new 2 and 3 seater Lounges, while you enjoy free WiFi and your favourite episodes on the 43” flatscreen T.V. For enjoyment of outdoor meals and drinks, the spacious balcony and outdoor furniture will ensure you enjoy the seaside air in comfort. 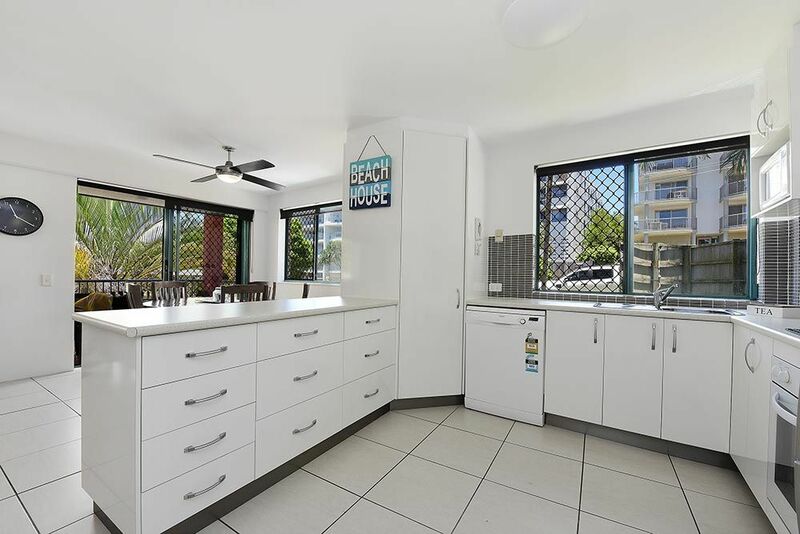 A smart and newly renovated, fully equipped kitchen with dishwasher, large capacity refrigerator, microwave, ceramic stovetop and undermount oven, adjoins the open, fresh and airy space of living and dining areas. 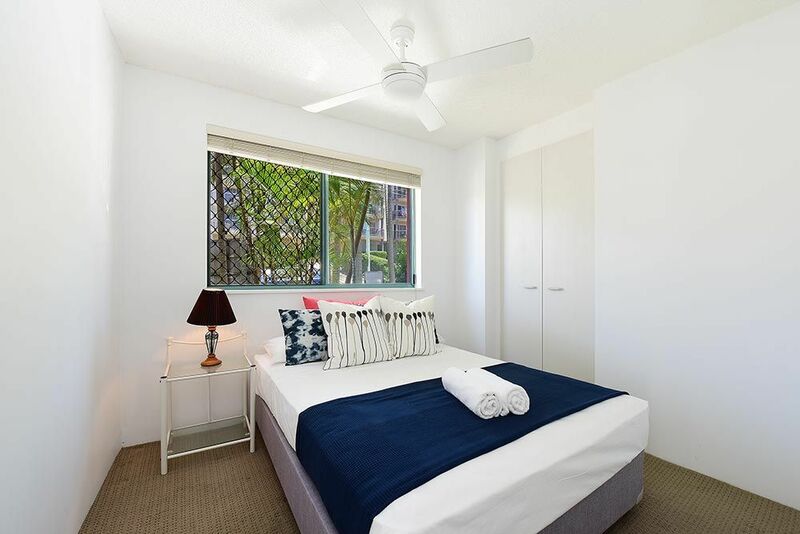 The master bedroom, with Queen bed, 32” Samsung T.V., built in wardrobe space and ensuite with shower, is air-conditioned for year round holiday comfort. 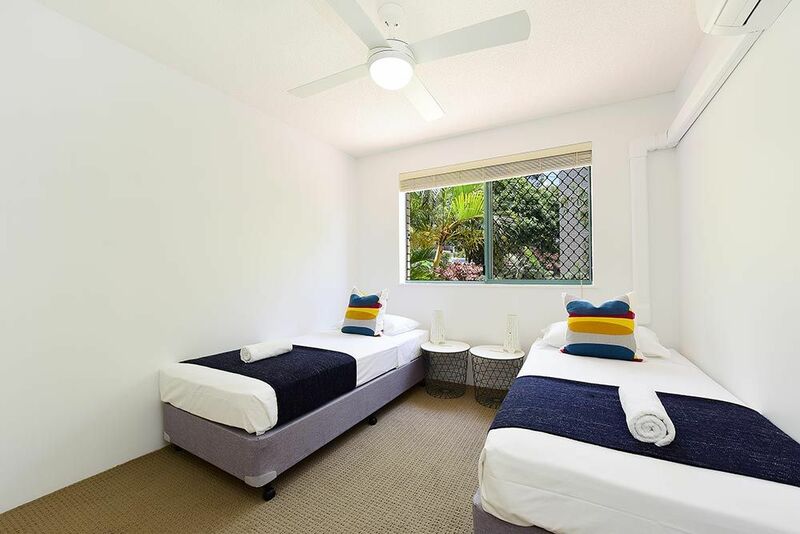 The second bedroom is newly furnished with Australian made, high quality twin beds, built in robes with hanging and shelf space and air conditioning.Guests accommodated in bedroom 3, will enjoy the comfort of a new Australian crafted, double ensemble. This bedroom also has built in wardrobes for storage. 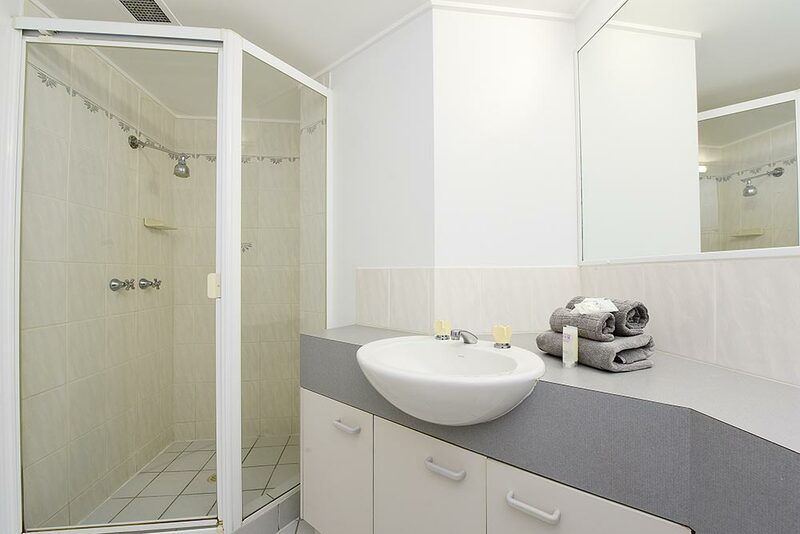 The main bathroom includes a bath/shower combination, toilet and full laundry facilities with large capacity washer, dryer and laundry tub. A clothes airer is provided for use on the verandah for beach towels and swimmers. 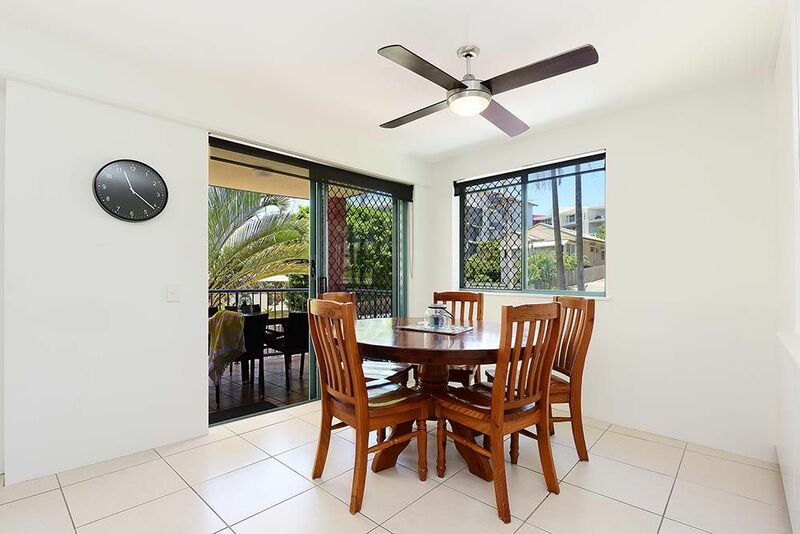 Positioned on level 1 for easy access, this apartment includes an off street car space adequate for higher or larger vehicles. An extra guest may be accommodated on request with mattress or rollaway.